The World Health Organization recently declared processed meats—such as pepperoni, hot dogs, bacon, sausage, and deli meats—“carcinogenic to humans.” The organization has even classified processed meats in the same category as asbestos, tobacco products, and other carcinogens. The association of processed meat consumption and increased cancer risk is most notable for colorectal cancer. The WHO report, published in Lancet Oncology is based on research from more than 800 studies looking at the cancer-causing properties of processed meats. The authors highlighted a meta-analysis that found each 50 gram portion of processed meat—approximately the size of a typical hot dog—eaten daily increases the risk of colorectal cancer by 18 percent. Despite the scientific consensus about the cancer risks associated with processed meats, they are still widely consumed in the United States, especially by children. Therefore, during Colorectal Cancer Awareness Month, we are asking school food service directors to proactively plan for the removal of processed meats from their menus. 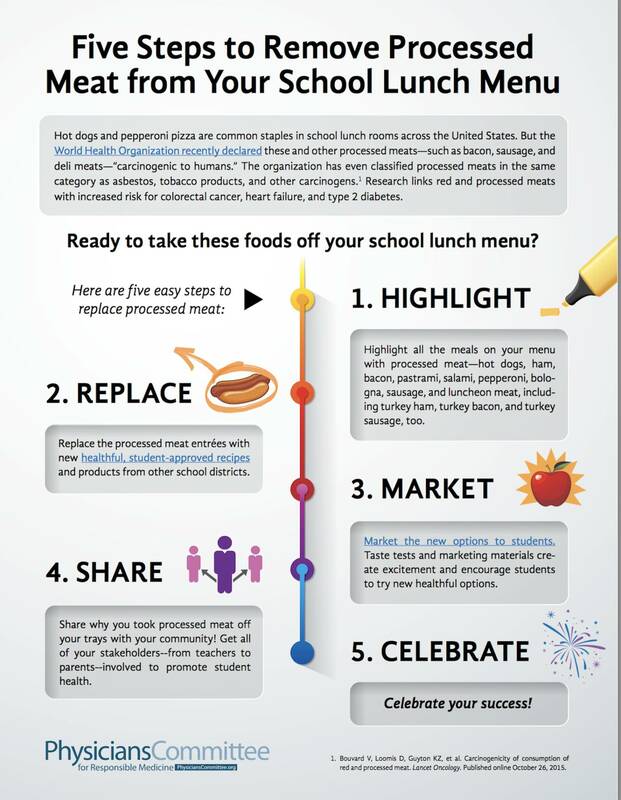 There are many alternative menu items for schools to consider in lieu of processed meat. 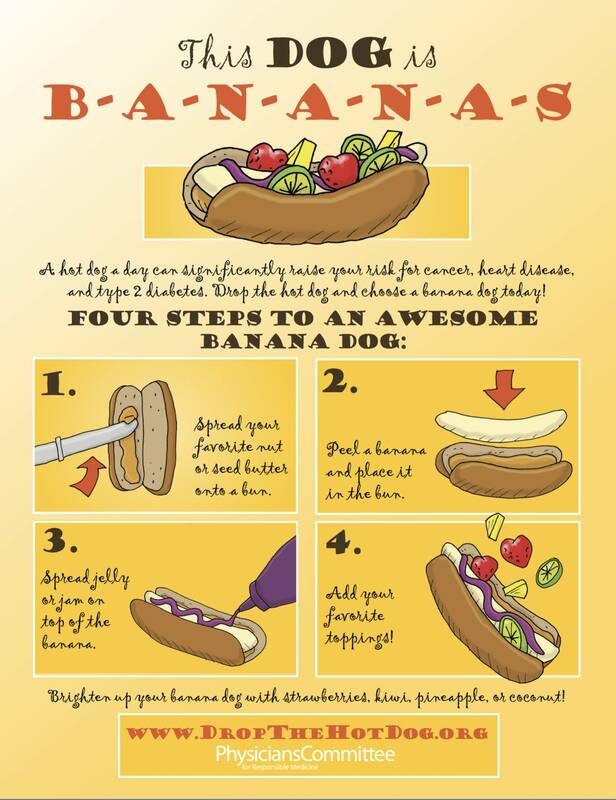 Eat a Banana Dog: Start an awareness campaign by celebrating National Drop the Hot Dog Month. We’ll send you a kit to serve Banana Dogs to your students any time in March! Go Bananas: Commit to taking one processed meat entrée off the menu. We’ll send you a certificate for you to highlight your good work. Top Banana: Commit to removing all processed meat from the menu. We’ll send you a certificate and share your good work with your local media. We welcome you to be in touch with us about any questions you might have, and also would like to know if your school will commit to removing processed meat. You can contact us at [email protected] or (202) 527-7341.